What's up ya'll!? It's been a hot minute while since my last weekly rundown *yikes* After a week off from the blog and work it's been nice to relax and not worrying about posting anything. During my time off I also spent my free time with my sisters which is always a good thing! Well happy Fri-yay and welcome to another Weekly Rundown! WORE: When it comes to jewelry I tend to stick with my everyday pieces - dainty pave necklace, pearls, and my James Avery rings- but lately I've been branching out for some colorful and fun jewels. I've been obsessed with this chuky turqoiuse necklace! It adds the perfect about of color without being overwhelming and it's so easy to style. I usually just wear a plain colored tee with short or jeans , but I also love pairing this necklace with a white and grey striped tank. So cute! SAW: At the moment I'm currently watching The Mindy Project on HULU and I'm sooo hooked. These quirky, fun shows are my all time favorites (The Office, Parks & Recs, etc.) Speaking of HULU I ended up getting a 45 day free trial and I am using it to the max!!! So far I've also seen Nerve and I have The Handmaid's Tale on my watchlist. POSTED: In honor of the Nordstrom Anniversary sale going public today I shared my wishlist earlier this week. 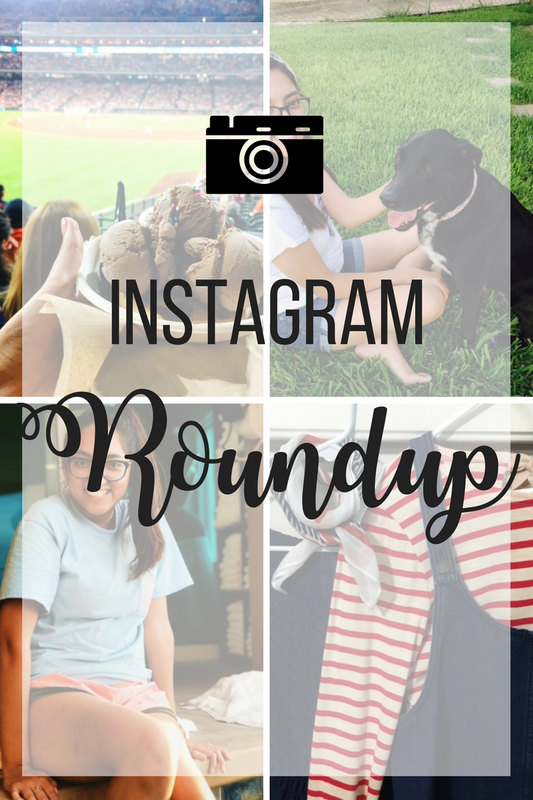 I also did a little Instagram Roundup, you can find both posts here and here. LOVED: Lately I've been trying to shop local and with small, independent owned boutiques and shops. Whether I find a particular brand on Instagram or a cute boutique outside the city. A few weeks I found this online boutique called Rebel Chic and they have some cutest stuff! Some other local brands and boutiques I've been loving are : Designs by Rei , Magnolia Mey , Pretty Little Things , Court Perk Designs and there's so much more!